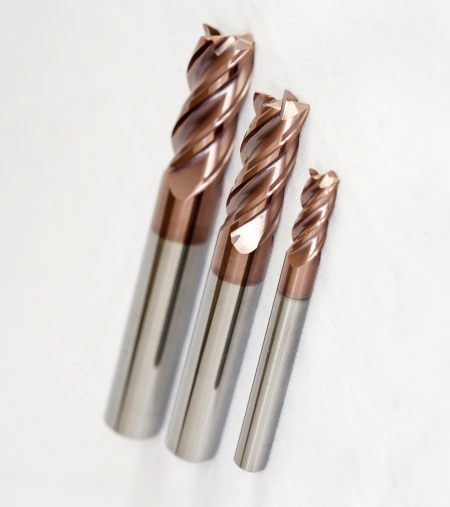 It may be named Mirage, but the 50% saving in cutting cycle times for titanium 6Al-4V achieved using this high-quality Quickgrind carbide tool is very real. As customers dealing with a variety of challenging materials have discovered, solid improvements and leaner manufacturing processes are possible when Quickgrind’s tools are combined with the company’s tooling performance consultancy service. Titanium 6Al-4V is typically found in high-tech industries such as aerospace and Formula 1, where it has a reputation for being difficult to cut. Under intense competition from overseas, British manufacturers in these sectors are always looking for new efficiencies that will keep them ahead of the field, so the figures from Quickgrind will come as welcome news. In tests, titanium 6Al-4V was machined using a Quickgrind 4 flute 12 mm diameter Mirage tool, at a cutting speed of 180 m/min and with a feed rate of 2,200 mm/min. The hardwearing tool maintained its performance through as much as 450 minutes of contact time. Mirage tools have also regularly proved their superiority on materials including Inconel, Hastelloy and ‘S’ specification, as well as high-grade stainless steels. For more information on Quickgrind and its total solution engineering visit www.quickgrind.com.